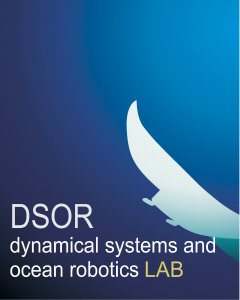 I’m currently an Assistant Professor at the Faculty of Science and Technology (FCT), Universidade NOVA de Lisboa (UNL), and researcher with the Institute for Systems and Robotics (ISR), Dynamic Systems and Ocean Robotics group (DSORg), in Lisbon, Portugal. My research interests include sensor-based SLAM, sensor-based control of helicopters relative to infrastructures, nonlinear MPC for helicopters, laser automatic calibration, and helicopter dynamic models and simulation. Best Student Paper Award, 18th ICCAS, 2018. Excellence in Teaching Distinction, 2016/2017, Instituto Superior Técnico. Excellence in Teaching Distinction, 2015/2016, Instituto Superior Técnico. Post-Doc fellowship from the Fundação para a Ciência e Tecnologia. Youth Award 2014, Science and Research, in S. Brás de Alportel, my hometown. 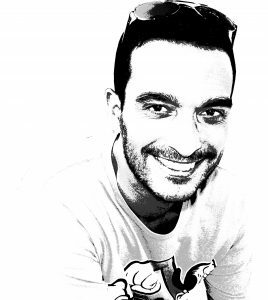 Best 2013 PhD Thesis Award from the Portuguese Robotics Society. Doctoral scholarship from the Fundação para a Ciência e Tecnologia. Best student paper award of the 17th IFAC Symposium in Automatic Control in Aerospace (June 2007, Toulouse, France). Doctoral degree in Electrical and Computer Engineering, at Instituto Superior Técnico, at the University of Lisbon (2013). Licenciatura (5-year degree) in Electrical and Computer Engineering (2004), from Instituto Superior Técnico. Assistant Professor (2019-present), Faculty of Science and Technology (FCT), Universidade NOVA de Lisboa (UNL). Invited Assistant Professor (2015-2019), IST, Universidade de Lisboa: assisted in teaching Digital Signal Processing, Control, and Modeling and Simulation courses; co-adviser of several MSc Students. Post-doc FCT Fellow (2016-2019), Instituto de Sistemas e Robótica, IST, Universidade de Lisboa: sensor-based control, navigation, and guidance of autonomous rotorcraft in unknown environments. Post-doc Fellow (2015-2016), SCORE Lab, Faculty of Science and Technology, University of Macau: design and experimental validation of sensor-based trajectory tracking control strategies for autonomous vehicles. Post-doc/Research engineer (2008-2015), AIRTICI project: developing advanced control and navigation techniques, as well as prototypes for automatic aerial inspection of large infrastructures, particularly when GPS signal is not available. Post-doc Visiting Scholar (Spring 2014), SCORE Lab, Faculty of Science and Technology, University of Macau: experimental validation a sensor-based trajectory tracking control strategy for autonomous helicopters, based on 2-D LiDAR measurements. Visiting Scholar (Spring 2007 and 2008), Virginia Tech: application to helicopters of the L1 adaptive control theory, developed by Dr. Naira Hovakimyan and Dr. Chengyu Cao group, at the Nonlinear Systems Laboratory, Aerospace and Ocean Engineering Department. Research engineer, Medires project (2004-2007): laser calibration and 3-D terrain reconstruction. Volunteer (August 2001), for a Development NGO in S. Tomé and Príncipe: teaching and working with local communities towards better education and health care. Member of Scientific Committee: Second Iberian Robotics Conference (ROBOT’2015); Workshop on ICT solutions with Unmanned Aerial Vehicles (ICTwithUAV), in WorldCIST 2017. Session Chair/Co-chair: 2013 European Control Conference (“Maritime Systems” and “Quadrotor Control”), 2012 American Control Conference (“Filtering III”). Journal Reviewer: IEEE Transactions on Automatic Control; IEEE Transactions on Robotics; IEEE Transactions on Cybernetics; IEEE Transactions on Systems, Man and Cybernetics: Systems; Journal of Aerospace Engineering; International Journal of Robotics Research; Journal of Intelligent and Robotic Systems; Asian Journal of Control; IEEE Transactions on Intelligent Transportation Systems. Member of Professional Associations: IEEE (also RAS and CSS), Ordem dos Engenheiros, Portuguese Robotics Society, Portuguese Automatic Control Assciation (APCA). English: proficiency (IELTS Band 8). French and Spanish: basic/independent conversation and writing, independent reading. Basic knowledge of Japanese and German.